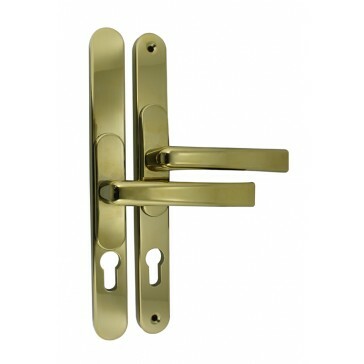 Flexi door handle designed to fit a wide range of locks and doors. Its has adjustable PZ centres and is easy to convert to suit individual needs. Suitable for external use. One handle designed to fit 75% of multipoint locks. Lever / lever operated handle with one 7mm spindle. Easy to convert to a split spindle or an offset handle.